Customizing page titles is optimizing your sites content and it is very useful to your website. 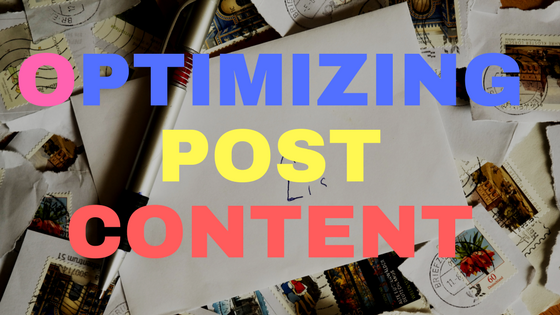 When optimizing your page title, you are putting some important keywords in it. Search engine targets that keywords from your page title and that shows in search engine results pages. WordPress has a new version to create a permalink which is an automatically link title on your page or posts when you put a Title for your article. It is very helpful especially for the beginners to have this feature because they can easily get ideas about the importance of keywords being used on title tags. One of the sections of custom page title is the meta description. It is the content of your webpage to be shown on Google search engines. Put at least 2 to 3 main keywords in it that search engines will track from your webpages. However, Google won’t guarantee that putting your keyword phrases alone in your meta description will keep your position in search engine pages. Still, creating a unique and quality content will improve your page rank. Meta description can be seen under the clickable link of your site and it can be used as the description of your page. Search engine value the description of the site and look its content whether the meta description is related to its content and so Google will return its pages. Google only shows up to 50 words so make sure that you have your main keywords in your meta description that also describe your content. Meta description is used as the default description in social media marketing networks where pages and posts are being shared and liked by several users. So what you have in your meta description when sahred on social media will reflect on what your website is all about. Headings are SEO friendly. They are pieces of HTML codes that make your titles or some other words noticeable in your page. The main function is similar to headlines on newspapers, magazines and books. As they are easiy be noticed on your page, headings can also be easily browsed and get into main section you want to go. It also lets you jumped to other pages of the site or to the specific part of the page. Of all the heading tags, the H1 is the most important. Search engine gives more focus to this tag compared to other tags and definitely it has the highest level of value that tells Google what your page is all about. Headings improve your sites ranking on google pages. It is also important that you have your URL optimized. Naming your URL relative to your keywords will increase your page ranking. It also lets your readers to easily understand what your page describes. Use specific name of your page to use as URL name so people will see directly what they are looking for n your website. Putting a descriptive words in your image tags will also increase your page ranking. Some people usually name their uploaded images as the default name like image1.png. Search engine also consider images because there are users who are paying attention more on images rather than on plain texts.